In Thailand you come across food pretty much anytime and everywhere. Street food is one example where you can find a variety of foods for breakfast, lunch and dinner, along with collections of snacks. 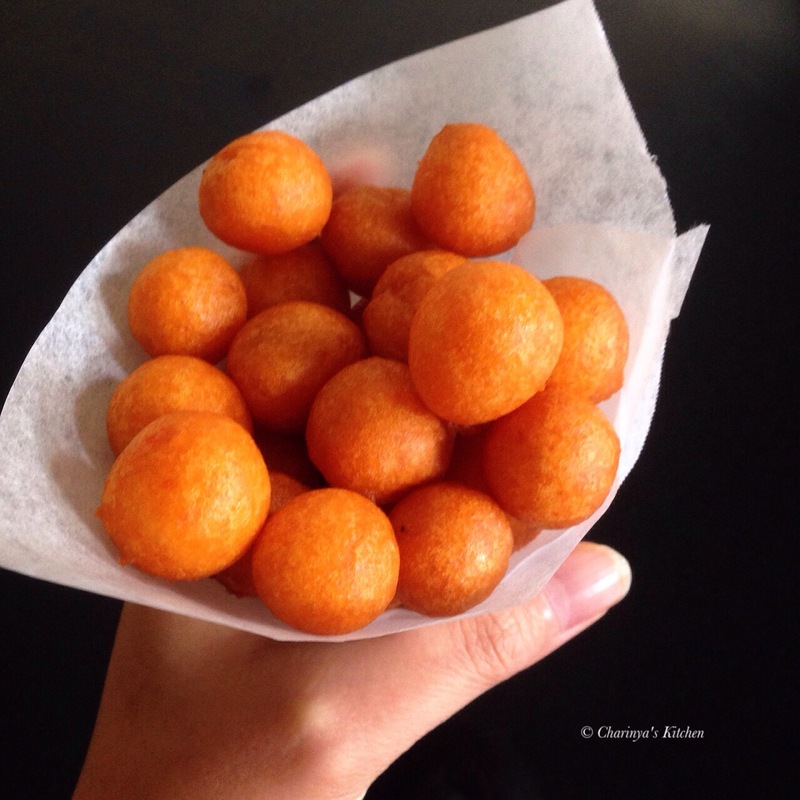 There is one Thai snack that I really like called “Kanom Kai nok kra ta” which refers to fried sweet potato balls. • 500g sweet potato, peeled, steamed and then mashed. 1. In the mixmaster add mashed sweet potato, sugar and salt, then mix well using the kneading attachment. 2. Sift the flour and baking powder together then add to the mixmaster. 3. Form the mixture into a 1″ balls. 4. 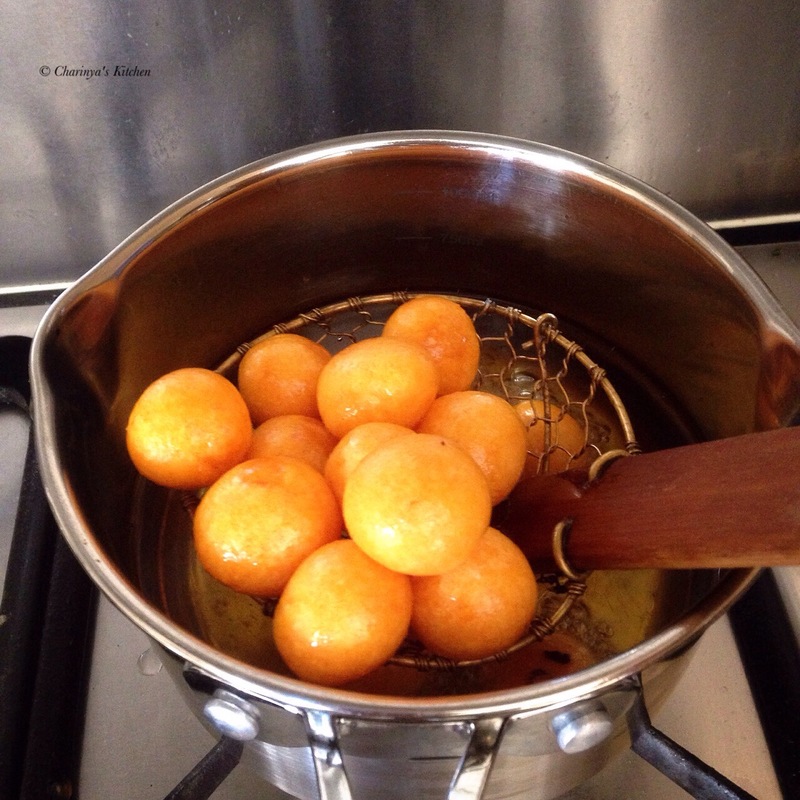 Heat the oil and fry the potato balls until brown and crispy. Serve hot.